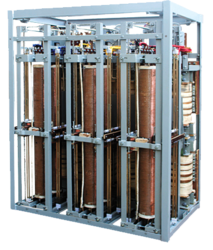 Prominent & Leading Manufacturer from Surat, we offer dry type transformer and step up step down transformers. We are offering Dry Type Transformer to our clients. We are offering Step Up Step Down Transformers to our clients.